Providing you the best range of gcp series genset control panel, automatic genset control panel, genset synchronization panel and ats series automatic transfer panel with effective & timely delivery. We are offering GCP Series Genset Control Panel to our clients.The generator set control of our company design, production holds and all adopt "ZhongZhi"s the series high-performance generator set controller. "ZhongZhi" the series product diesel generator of just for the various typeset design, well consider the control and protection demand of different type machine set, is suitable for various generator set control system reformation to change the choice.Can help a generator set the original factory to become a set manufacturer kit development production control system, apply "ZhongZhi"s series product, position according to the market, construct different layer generator set product, form difference to turn competitive advantage, lead opponent, win a market. 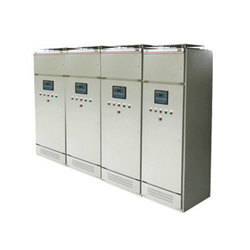 We offer high-quality Automatic Genset Control Panel to our valuable customers. Precisely engineered from best quality raw materials, these panels are highly appreciated in the market for their sturdy construction, smooth finish, robust design, flawless finish, high performance and low maintenance. The offered panels can be customized as per the specifications provided by the customers. We manufacture and supply the finest quality Genset Synchronization Panel owing to our rich experience and knowledge of this domain. Offered panels are known for their impeccable design and steady performance. With our vast and well-connected distribution network, these panels are delivered within the promised time frame at the customers’ end. 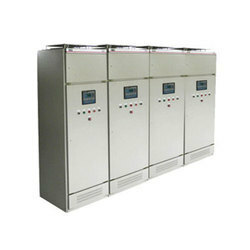 ATS Series Automatic Transfer Panel conversion switch cabinet at urgent, back up, can choose back up the power applied situation, provide the supervision, generator set of city electricity and city electricity or city electricity and generator set the power to start to convert with the load.The sum of ATS series conversion switch's settling electric current is continuous, can be applied to its Ming card sum settle parameter the following of all situations. Convert switch controller the work is dependable and be easy to comprehension and have LCD the data and appearance show to control a button with operator.Controller all datas and various postpone at a time when and all can regulate but have never needed to use service tool on the scene. ATS monitored the power supply quality of two electricities in the road City while converting a switch cabinet actually(the controller can establish for three kinds of work modes respectively at this time:All the way the lord is used, two road lords is used, ownerless use), all the way or two road lords is used namely from hurl from reply), be a lord to use circuit power failure or power supply quality not ability full. When foot load requested, control system to automatically convert the load to back up the power power supply.When lord use circuit instauration normal, control system to automatically convert the load to the lord to use circuit power supply. Ownerless use(namely from hurl not from reply), be all the way city electricity when the power failure or power supply quality cannot satisfy a load request control system to automatically convert the load to two road City to give or get an electric shock power supply, only have be two road City electricity when the power failure or power supply quality cannot satisfy load to request control system would convert the load to all the way city to give or get an electric shock power supply. 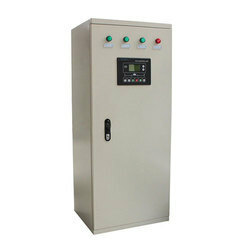 ATS converts a switch cabinet solid monitor city electricity power supply quality, be city electricity when the power failure or power supply quality can not satisfy a load request control system to automatically send out to start generator set signal, and convert the load to the generator set power supply.When the city gives or gets an electric shock instauration normal, control system to automatically convert the load to the city to give or get an electric shock power supply, erupt a signal stop generator set the movement get into to need machine appearance. Machine and the electricity dual allied lock allocation, keep two road the power(the city gives or gets an electric shock 1 give or get an electric shock with city 2 or city electricity and generator set) from throwing in in the meantime load and control circuit short circuit. Known for its steady performance and minimum maintenance, GCP Series Genset Control Panel is precisely engineered for optimum quality raw materials. The team of quality controllers ensures that these products are manufactured as per the industry set norms and regulations. Offered panels are offered by us at highly reasonable prices.